Hello! Here is the July 2014 Photo-a-Day list from FatMumSlim. 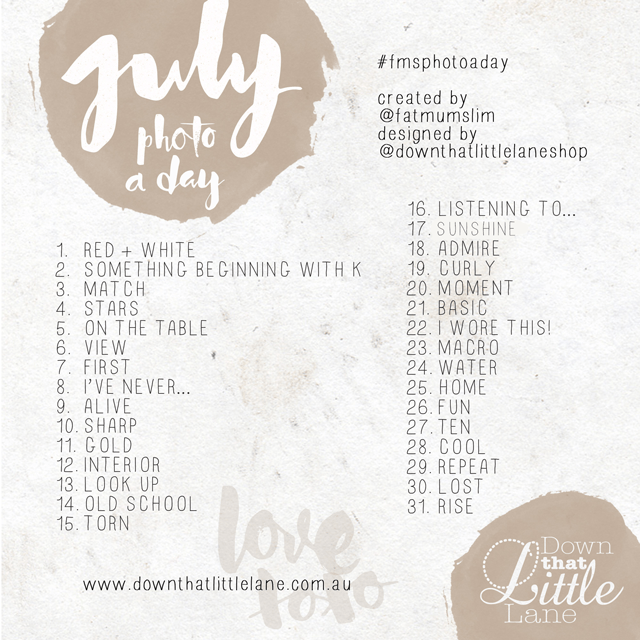 July’s list was created by Tessa from Down That Little Lane. Happy Picture Taking! This entry was posted in Instagr.am, Photo-a-Day Challenge and tagged FatMumSlim, FatMumSlim Photo Challenge, FatMumSlim Photo-a-Day List, FMSphotoaday, FMSphotoadayJULY, Photo-a-day, photo-a-day challenge. Bookmark the permalink.